This follow-up to 2009's "G.I. Joe: The Rise of Cobra" finds the team not only fighting their mortal enemy Cobra, but also contending with threats from within the government that jeopardize their very existence. Basically, it's nonstop action from start to finish, including lots of gun violence. 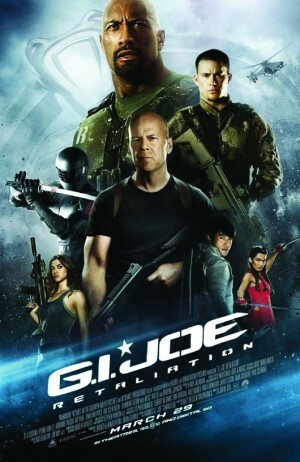 Directed by Jan M. Chu, the cast includes Adrianne Palicki, Channing Tatum, Bruce Willis and Dwayne Johnson.